Preparedness is Universal: Planning for a disaster if you have a chronic illness, physical, developmental, or intellectual disability – Glass Half Full with Leslie Krongold, Ed.D. September is National Preparedness Month. 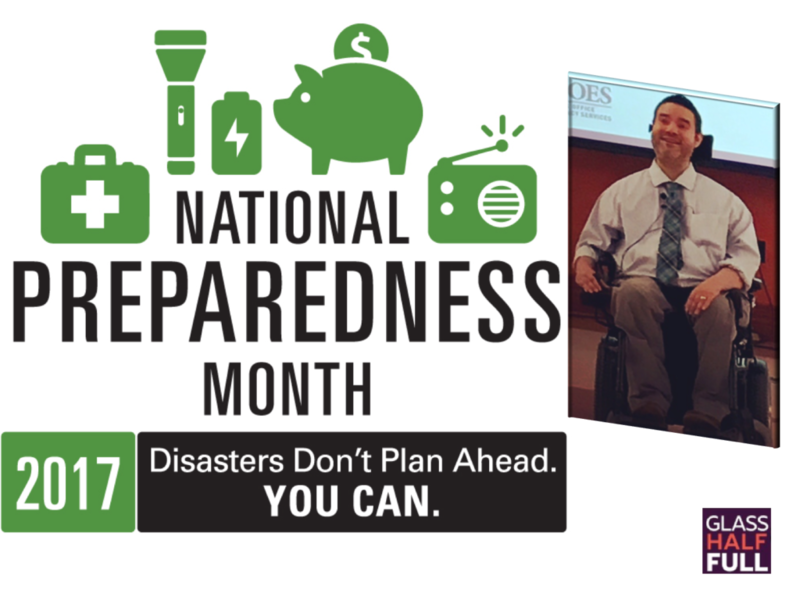 If you have a chronic health condition, an injury, or are physically, developmentally, or intellectually disabled there is additional preparedness planning you’ll need to do in the event of a natural (hurricane, earthquake, flood) or other type of disaster (terrorism). L. Vance Taylor —Chief, Office of Access and Functional Needs at California Governor’s Office of Emergency Services, talks about his role in emergency management for the State of California as well as his role as a person with a physical disability (Limb Girdle muscular dystrophy).